The book’s called ZOMBIES: ENCOUNTERS WITH THE HUNGRY DEAD, and it comes out in October from Black Dog and Leventhal. In addition to Justine’s “Best Served Cold,” the book also contains both new and classic works by Leonid Andreyev, W.B. Seabrook, Stephen King, Ray Bradbury, Robert Bloch, Theodore Sturgeon, Steve Duffy, Neil Gaiman, George Saunders, Dennis Etchison, S.G. Browne, Adam Golaski, Mehitobel Wilson, Les Daniels, Steve Rasnic Tem, Joe R. Lansdale, Steven R. Boyett, David J. Schow, Robert R. McCammon, Jack Ketchum, Kathe Koja, Eric Shapiro, Max Brooks, Poppy Z. Brite, John Skipp and Marc Levinthal, Cody Goodfellow, Lisa Morton, Carlton Mellick III, Terry Morgan and Christopher Morgan, Douglas E. Winter, and Adam-Troy Castro. 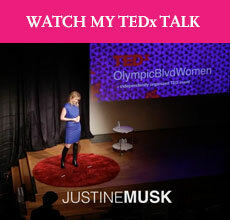 Just so you know, Justine’s story is superb. Meticulously observed, as always. But also unexpectedly hilarious, and more than a little fucked-up. Needless to say, I love it to pieces. * The story was inspired by a real-life incident at my Notorious Neighbor’s house that, happily enough, did not involve zombies of any kind.